For some reasons, probably strange, many people like to play Game Boy or Game Boy Color games outside their portable confines. One reason is that the games are good but the original screens for these devices are terrible to look at by modern standards. Nintendo has on certain occasions tried to satisfy the need to play portable games as though they were home console games, but those solutions are old. Pure software emulation can easily take the GB to 1080p and beyond, but software is wholly divorced from original hardware. There are software emulators with dumping cartridge slots like the RetroN 5 and Retro Freak, but they are only 720p solutions. A promising new mod called the GBA Consolizer is an FPGA-based upscaling solution for the Game Boy Advance but is limited to 720p output. There was a mod called the HDMYBoy a few years ago but it never got beyond a few prototype units. For this blog article, I will focus on hardware-based solutions which I have some ability to experience personally and can deliver a 1080p experience. A long time ago, over six years in fact, I purchased my first Krikzz product. This was the Mega EverDrive (v1), then by far the most capable flash cartridge ever released. I wrote about it here. Recently I have had the opportunity to acquire its successor, the Mega EverDrive X7. 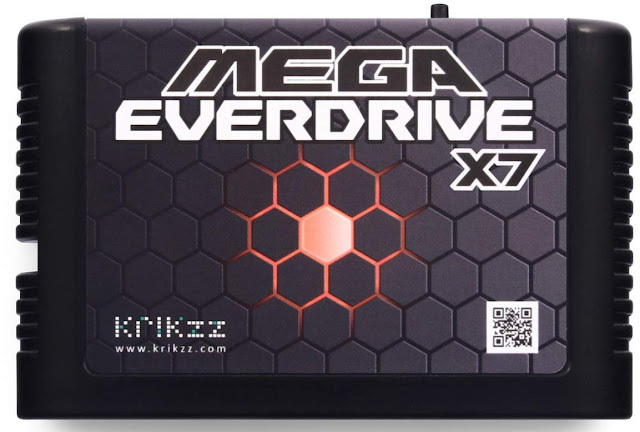 Let's revisit the use of flash carts on the Genesis/Mega Drive with the X7. 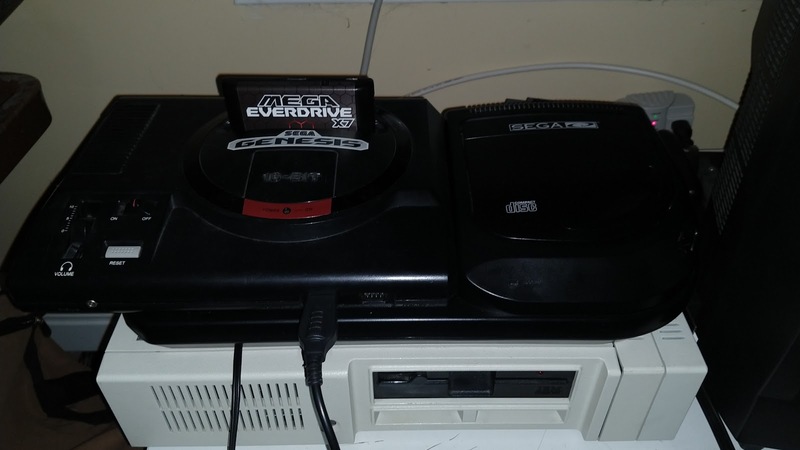 The Sega CD is treated like the unwanted step-child of the CD expansions. Early CD systems and expansions before the PlayStation were not the breakthrough product their manufacturers hoped they would be. They did not deliver the substantially superior gaming experiences they promised and were generally considered too expensive for what they did deliver. And what they delivered was often unimpressive, ports of cartridge games with enhanced audio and superfluous cutscenes, FMV games which relied on route memorization, PC game ports that had no business being run on hardware that did not have a hard drive, a keyboard or a desk with which to use a mouse and interactive entertainment software which was barely interactive and not entertaining. Today we are going to take a look at the Sega CD, its hardware, its quirks and ultimately the games that make it worth considering as a device on which to play games rather than to put on a collector's shelf. When Commodore made the PET-2001, they made a computer that found some success in the market, especially in Europe. The PET turned into a series, but it was an all-in-one PC that came with a monochrome monitor and was rather an expensive product. 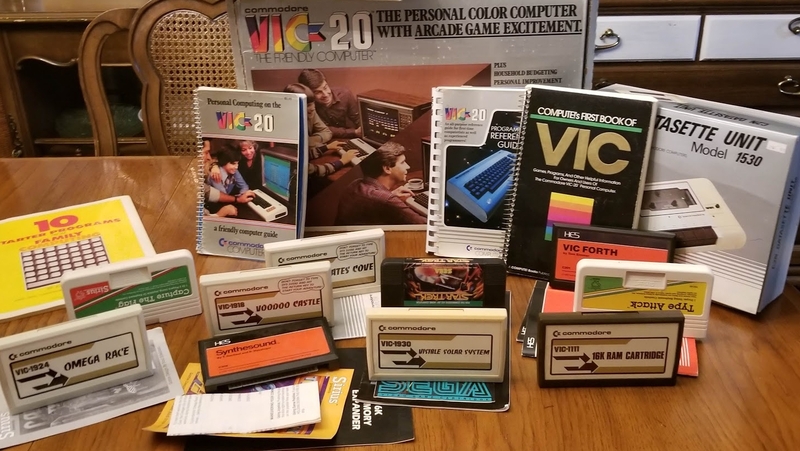 Commodore wanted to expand to more of a mass-market, and they designed the Commodore VIC-20, the first personal computer to sell for less than $300. The VIC was very successful when it was released in 1981, becoming the first computer to sell over one million systems. Its low price and feature set (color graphics, 4-channel sound) helped it to outsell its competitors. But it days in the limelight were short-lived due to the arrival of its successor, the Commodore 64. Having acquired a VIC-20, let's take a look at some of the practical issues with using it.